Dan Clark has signed with Macedonian side KK MZT Skopje and will play in the EuroCup this season, as reported by Sportando. 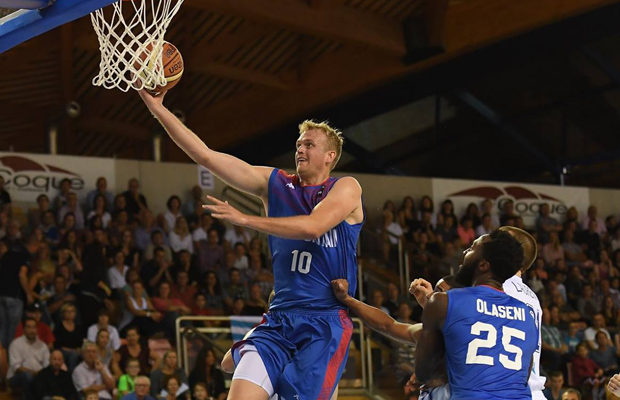 The GB Senior forward has spent most of his professional career in Spain and played for Andorra in the ACB last year. Clark helped GB qualify for EuroBasket 2017 this summer and finished the campaign with averages of 13.7 points, 4.7 rebounds and 1.3 assists per game. The 28-year-old played 36 games in the Spanish top-flight last year and averaged 7.0 points per outing whilst shooting just under 50% from the floor. Skopje are the defending Prva Liga champions and are currently 0-1 in Group A after losing to Lithuanian side Lietkabelis Panevezys in their opener.